Window Tinting Sarasota | (941) 371-3456 | The Window Film Specialists. Where Sarasota, Bradenton And Venice FL learn About Our Industry. FOR IMMEDIATE RELEASE: Sarasota, Florida, 2013 -- The Association of International Metallizers, Coaters, and Laminators (AIMCAL) gave its Technology of the Year Award to Eastman Chemical Company subsidiary, Solutia, for its EnerLogic VEP35 Low-E Window Film.. The patent-pending window film, which earned Finalist status in the Coated, Laminated or Metallized Product Category and also took home the Technology Award in the Other Category in AIMCALs Vacuum Metallized or Coated Product Competition, consists of a 2-mil clear polyethylene terephthalate film with ultraviolet absorbers and multiple coatings. The resulting structure maintains flexibility, limits stress cracking, prevents smudges and scratches, and delivers an emissivity of 0.07, a substantial improvement over the 0.33 emissivity rating of the next best performing low-e film. .
n addition, anti-reflective layers reduce the amount of rainbow, or oil slick, appearance traditionally associated with low-e window films when installed near high-performance fluorescent lighting. The low-e structure maximizes energy savings by reflecting heat from the sun in the summer and directing radiant heat back into the room during the winter. As a result, applying the film boosts insulating ability equal to adding a pane of glass at a fraction of what a replacement window would cost. In fact, the film delivers 92 percent more insulating performance as measured by center-of-glass R value. Return-on-investment for large commercial buildings averages 2.75 years. Installation of EnerLogic VEP35 Low-E Window Film may earn energy rebates and favorable ratings from Green Building certification programs like Leadership in Energy and Environmental Design. Judges were impressed with the performance of the low-e film.Its like adding a storm window, said one member of the judging panel. Id like to install it at my house, said another. Learn more about the award on the AIMCAL website. 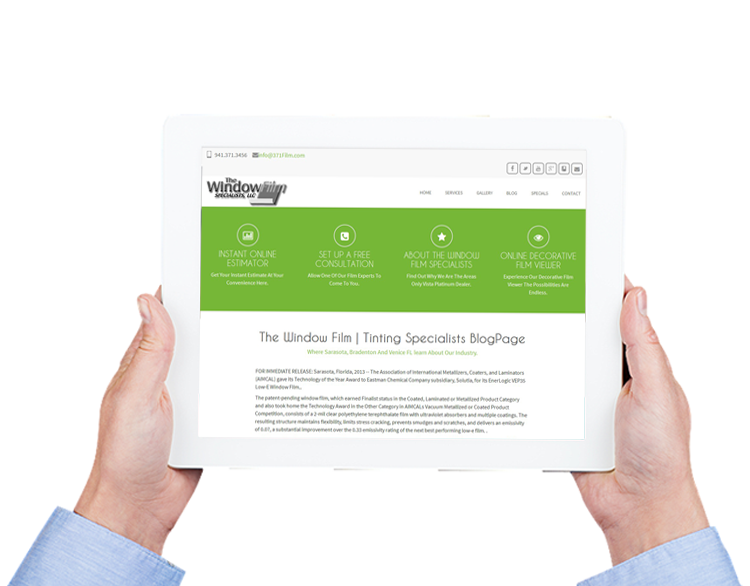 The Window Film | Tinting Specialists Blog Spot.